I thought I would give a little untouched, up close and personal before shot. Can you believe it? 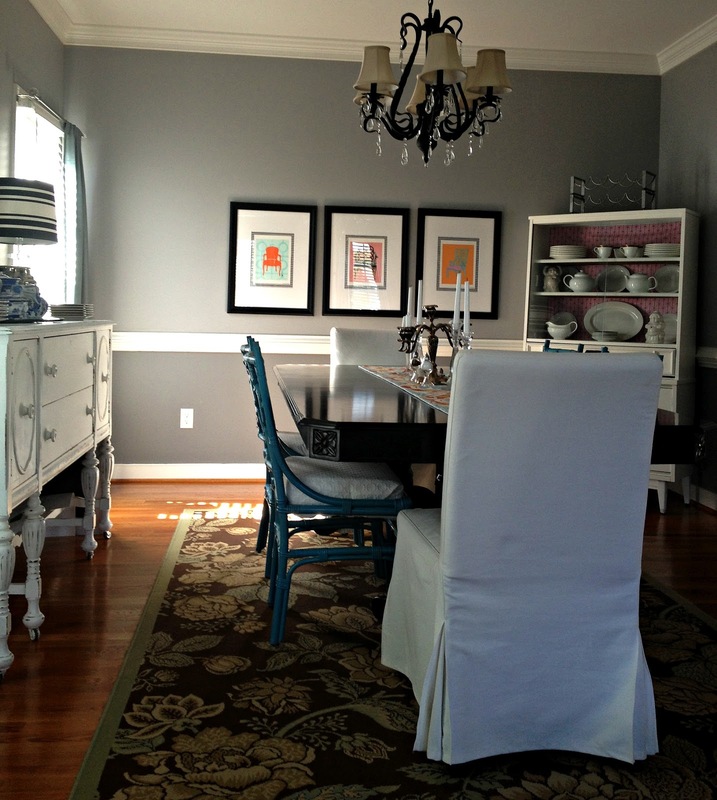 That faux finished sponge (pronounced spaaahhhnnge) painted walls? What about that bronze light fixture that was definitely on a hot special at Lowe's? The get it out of here special. So let's go piece by piece here. 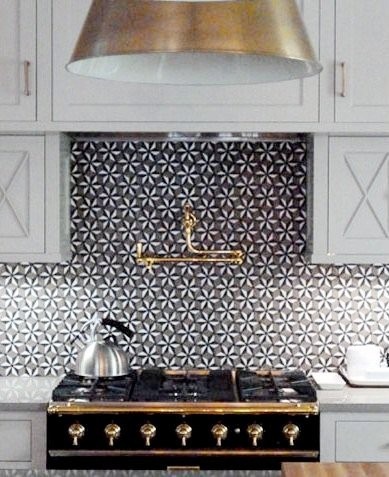 The chandelier was a OKL purchase. It came with these crackle/frosted glass shade numbers. And I have to tell you, I was less than impressed. Apparently the boy felt the same way, because he "accidentally" bumped in to the chandelier when we were moving furniture and two of the shades came crashing down and shattered. My inner dialogue was all "oh hell yes." So, the hunt for black October started. Black drum shades that is. It is a lot harder than one thinks to find a 6' diameter black fabric drum shade that is under the price point of $50.00. Well my friends, insert Garden Ridge. 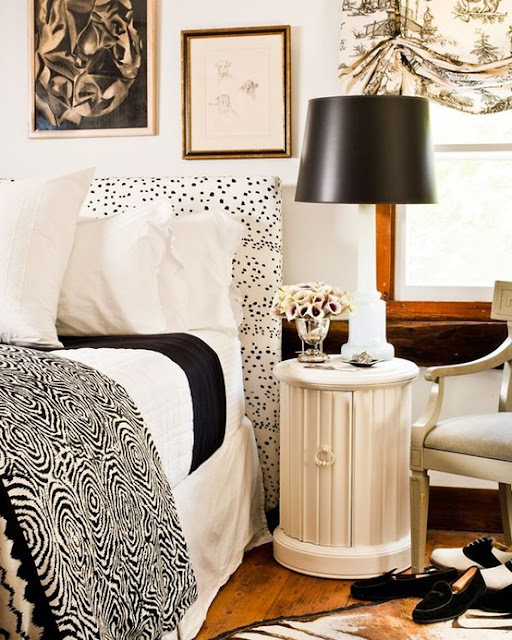 I went down the lamp shade aisle and found 6 6' diameter fabric drum shades that happened to be white with black polka dots. Price you might ask? How about $3.99. Yep. Added spray paint and here we are. How about some elephant table adornment? Always and forever. 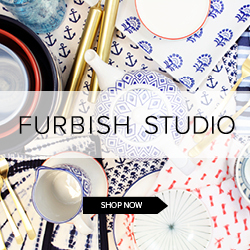 You can get these fabulous elephant plates at World Market to spruce up any tablescape. Love that place. These sconces were a score from my girl Erin at Richmond Thrifter's booth at Class and Trash here in Richmond. They have resided in a few rooms in our home but I am quite certain they now are in the right place. These lamps were the alternative to my Craigslist killer situation. And frankly, I am so much happier with the end result. These lamps were a mustard yellow prior to their now jade green hue and I found them at Target. Swear. They may still have them in stores. They are glossed out with a high shine jade green spray paint and topped off with a black drum shade from Lowe's. Ok. Let's get to the real highlight of the show here. The chairs. These chairs were a premature Christmas gift from my fabulous parents. You will not believe the price on these. Seriously will blow your mind. Try $159.00. I know. For this gorgeousness and custom look? Financial suicide not to buy if you ask me. I could not be more in love with them if I tried. At any given time, on any given day, I have a detailed list of various things I am loving and "needing" at the moment just rolling around in my head. #spoiledrotten. This list could change in 5 days. It could change in 5 hours or 5 minutes. This is the stuff I love right at this moment. Arranged in no particular order. - I bought these PJs from Target last weekend. Immediately when I spotted them, I thought Kate Spade. And ladies, I am not lying. They look like they came directly off of a Kate Spade show room. They are comfy and I have been in them since my office closed early yesterday. Busted. - This shagreen box is a super cheap accessory meant to adorn any space in your home. Maybe to hold miscellaneous items on your desk? Maybe to hold change on an entry way table. Make it your own. - I have had my greedy eyes on these napkins for quite some time. If I do not get a set of these to dress my holiday tableware in, someone is going to get hurt. 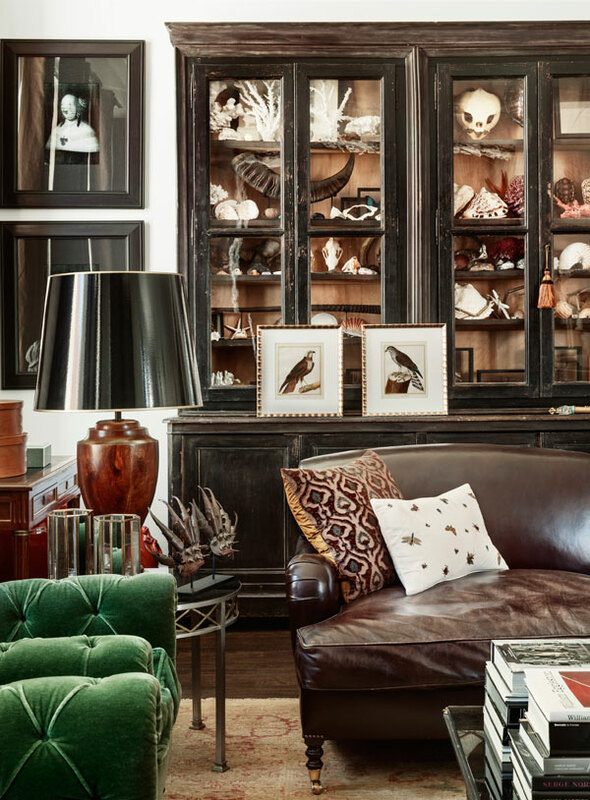 I love the red (obviously) paired with the pheasant feathers. This will happen for me one way or another. - Who doesn't love a zebra tray? I mean honestly. - A bold hue and patterned scarf to dress your neck, bag, head or anything else you feel like putting a scarf on. I am thinking this might be a great framed scarf as well. Possibilities are endless. - This freaking elephant bangle is rocking my world beyond believable imagination. For serious. And at a fabulously low price point, I can afford to buy so much more from my girl Erin's Shop. 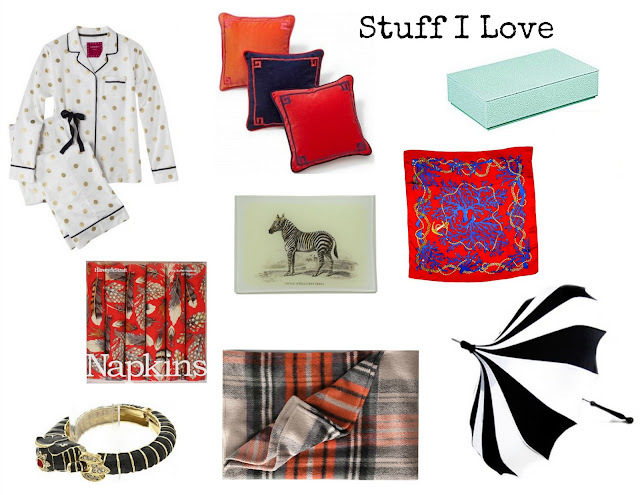 - On a day like today, I am lusting over anything plaid, flannel and warm and this plaid throw fits the bill. - Don't we need to stay dry from this hellashish storm? I am so digging this pagoda umbrella and have decided it is the ONLY way I can stay dry. Only. Happy Hurricane Monday to you larvlies! I hope you all are staying safe/warm/dry/fed/comfortable. Sandra D is supposed to be hitting here this afternoon and I have to tell you, I am not real excited about it. This will be officially, our first "hurricane" that we have endured. When we went to stock up on supplies on Friday, we had to hit three stores up just to get water. I mean seriously. What in the hayyyelll? I am already over Sandra D and she has not even arrived. If I am forced to eat canned food, then I will be very over it. Another effect Sandra D has been having is that it has been looking dismal around here all weekend. It has me thinking of non-colorful spaces. I am talking black. I am talking white. 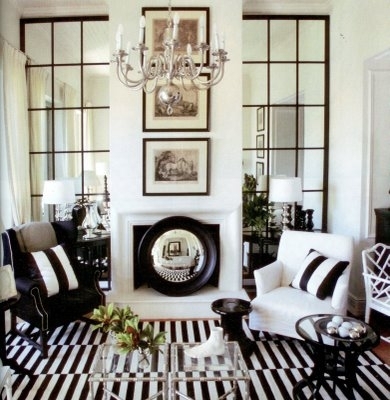 Now, make no mistake, black and white is not boring or lacking in style. In any way. 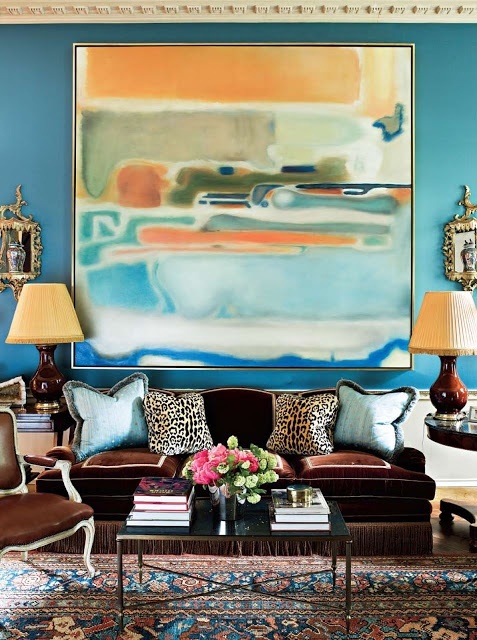 The subdued and sophisticated color scheme is so high in style that it will make your head spin. Trust me when I say. Let me show you all of this black and white that I am speaking of. So listen...I am totally digging an unorganized forum today, obviously. It is the freaking weekend, praise the lord. I deserve it. Do you all deserve it? I am certain that you do. I need to clue you all in to what has been on my mind this week. A lot of interiors. A lot of neckwear fashion. A lot of cuisine (which I did not make). Sigh. Let's do it. This image has been on repeat in my head all week long. Like a broken record. For starters, where in the hell is that rug from? I adore it. 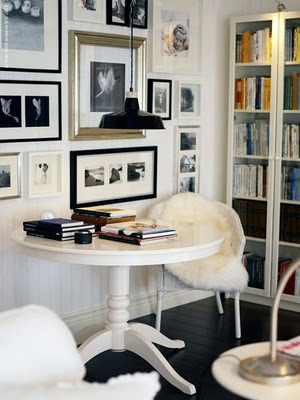 And contrast piping on furniture? No brainer. So glam. Another glamazon space for your eyes. 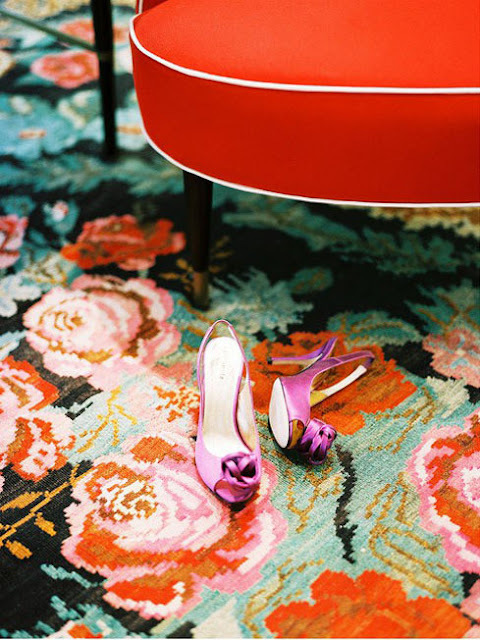 I am not afraid of red in the home, like some. 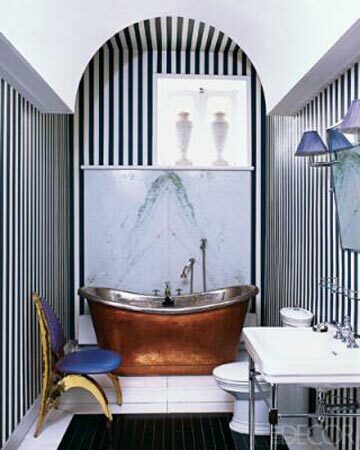 This space is so warm and glamorous at the same time for me. Going to need that red wreath for the holidays. I am certain of it. Miles Redd and the Backstreet Boys needs to quit playing games with my heart. That art installation is enough to stroke over. Does anyone else notice the fringed couch? I die. I have many times considered fringe being incorporated into our house, and I have many times talked myself out of it due to Stella's piss and vinegar nature. Spotted this image yesterday and about ran out to the store immediately to buy 100 yards of emerald green velvet fabric. I mean for serious. What a perfect addition to a rustic and sophisticated space. On to my neckwear obsessions this week. Diamonds and leopard. Need I say more? I do not care if this piece somewhat resembles a baby's mobile above their crib. It does have all of the elements. Little mirrors, dangling items. I wonder if it makes noise? If it does I am purchasing one immediately, if not sooner. Tassels on crack. Leave it to Tory to take a tassel that I already love and adore and multiply the impact and magnitude ten fold. 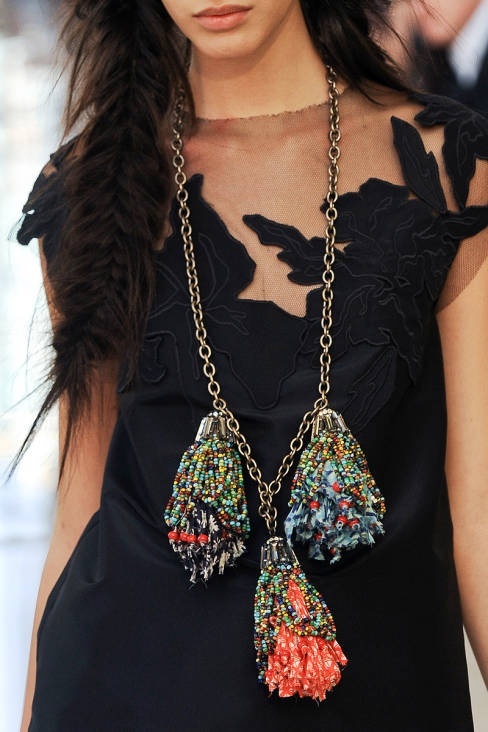 I am obsessed with every image of Tory's 2013 Spring Collection that I have seen this week. It has taken the fun out of Fall for me. Laaaawwwwddd have mercy. Mercy. This trench is one in a million. The neck adornment is so killer. So on to what I have been craving this week. You know this girl loves quinoa. 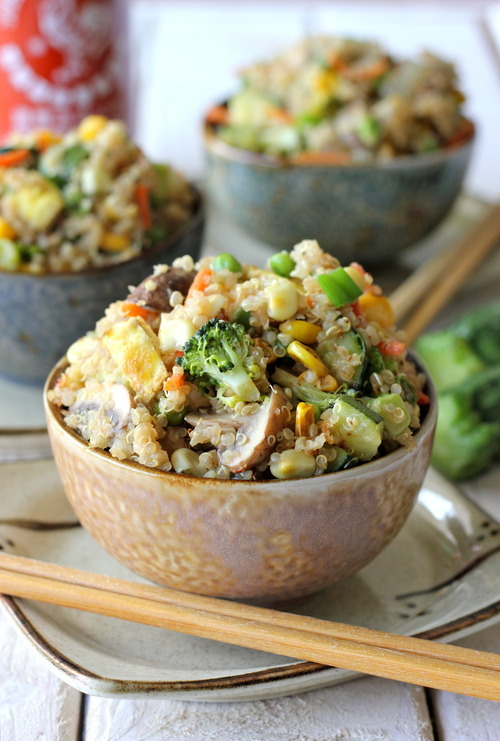 This quinoa fried rice looks absolutely incredible and WILL be made in the near future. Thinking of adding shrimp. These soba noodles look so amazing. 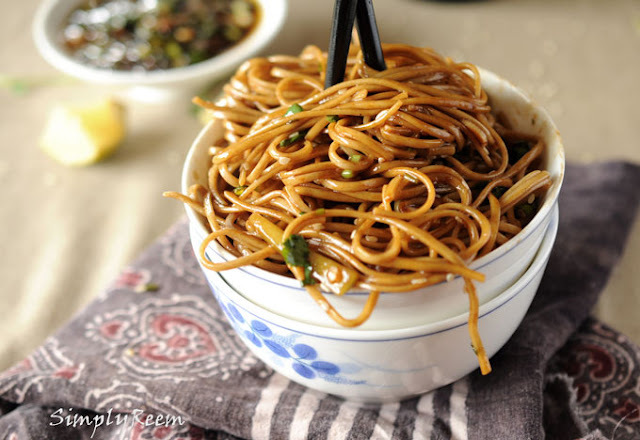 I am really loving the brown rice noodles as of lately, so I might substitute those in for the soba's. We will see. Things might get super crazy up in here. Admittedly, I am not a huge sandwich person but I am willing to make an exception for this open faced beauty. I mean what is not to love? We have been watching Sopranos again and proscuitto has to be the most common word in every episode. 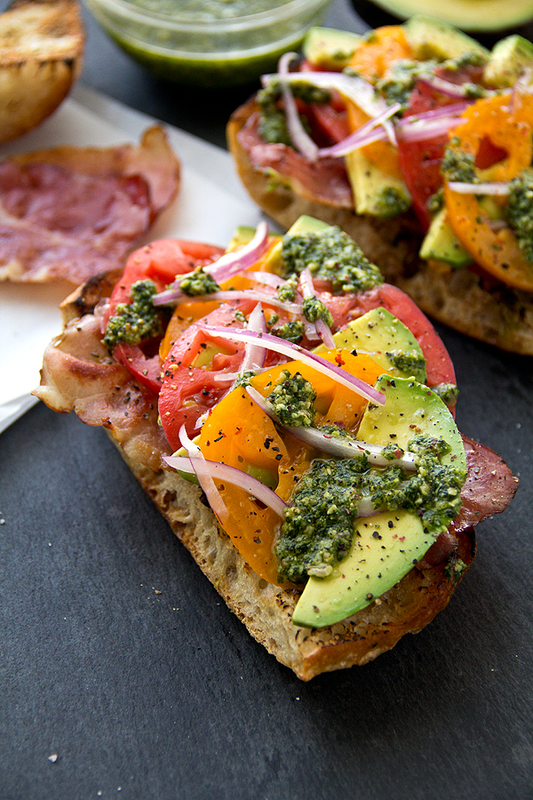 Pesto, proscuitto, avocado, tomatoes and onions? I cannot think of something I would want more. 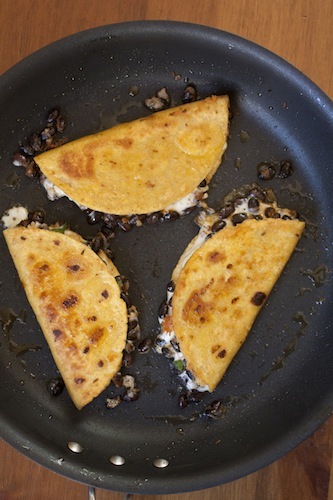 These crunchy black bean tacos look super simple and incredibly nom. Nom nom nom. 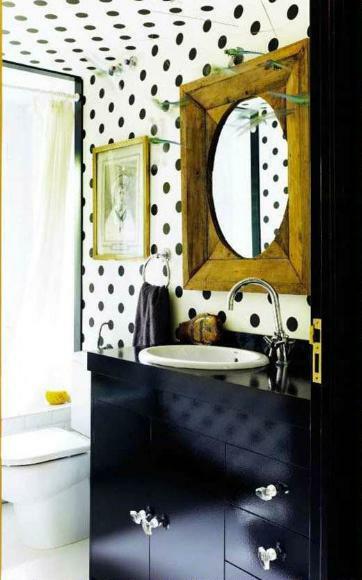 Playing with pattern is truly a skill, a craft, an art form. 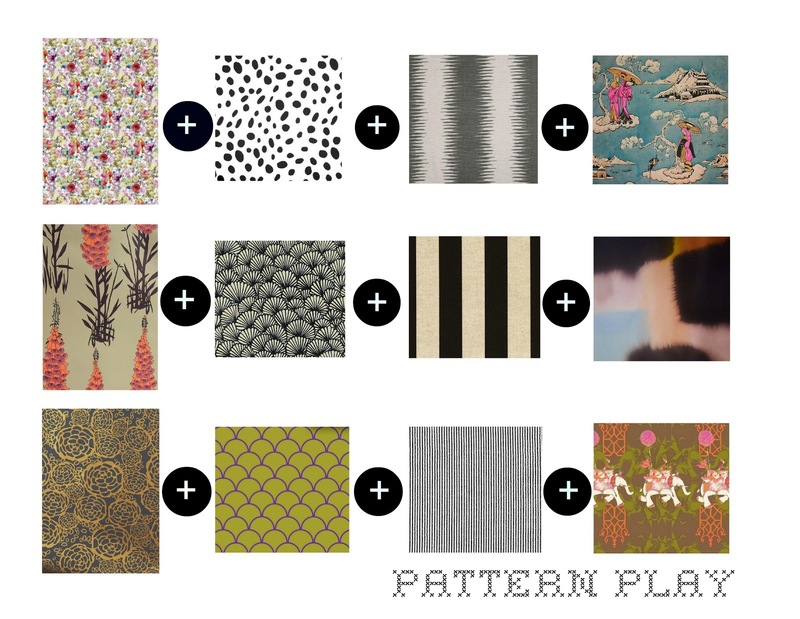 Whenever I am working on a design, I keep a certain formula in mind while mixing and matching patterns. 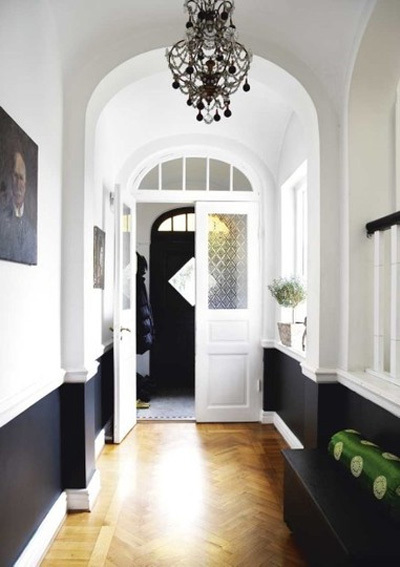 Incorporate complimentary colors + mix big with small + busy with classic + bold with traditional = amazingly eclectic yet harmonious design. 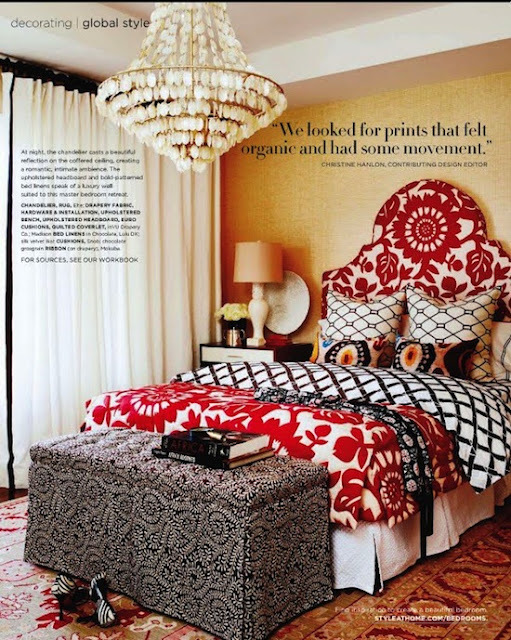 The space below is a perfect example of bold and bright pattern meshing with traditional and classic pattern. What a perfect marriage, no? So I told you I had some experience with mixing pattern, and you know what they say, "you gotta practice what you preach." So I am going to show you the way. I do have to add in a little tidbit and my method to the madness, my new thing is always including a fabric with some sort of large scale lifestyle/animal scene. It is totally interesting. I promise. Here is the breakdown of needs for the perfect pattern formula today. Right now. This very instant. 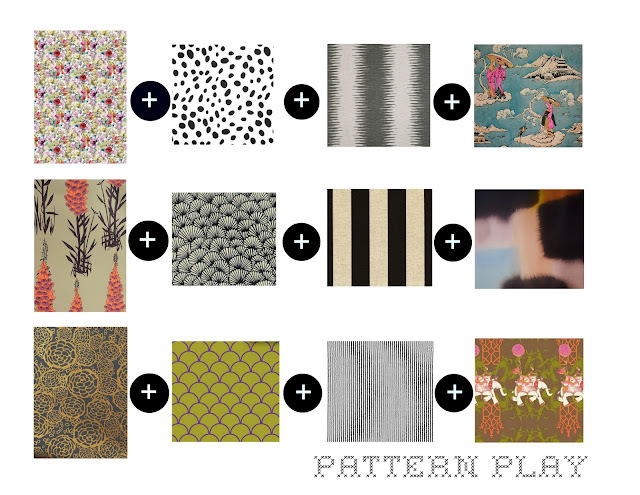 Floral + Small busy print + Stripes + Large interesting scale design = Perfect Pattern Play. Ok ladies and gents. Today's guest is extra, extra special. 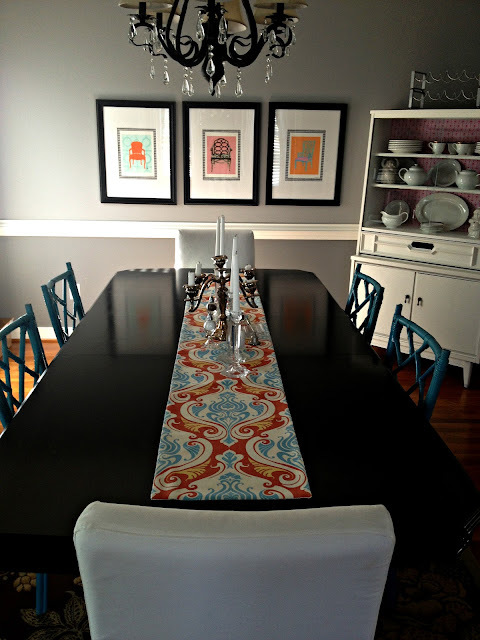 My best Richmond gal pal, Erin from Richmond Thrifter is sharing her favorite (and my favorite) space with us, her dining room. When I first met Erin, I was actually picking up a piece of furniture that she had refinished for me. I was trusting that she was not the Craigslist killer and that she was not interested in making me into a bodysuit. Bonus. She wasn't. I knew she and I would be lifers after I met her daughter who was scooting around the house in a sleep sack (all of you mom's know what this is, I am clueless) two hours post nap, eating her snack. Girl has got serious attitude and style, really. Erin has the best eye when it comes to repurposing furniture, and I constantly threaten her when she finds enviable pieces. I am certain she loves that about me. As if she is not talented enough, Erin has now branched out into another business venture, and favorite thing of mine, jewelry. 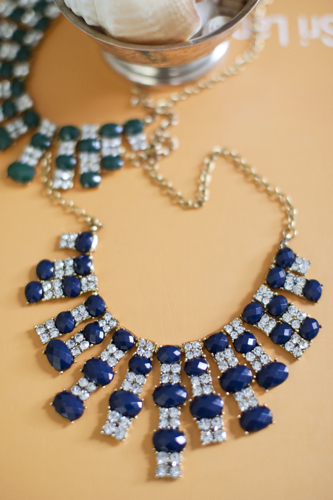 Check out her Jewelry Shop for many cool and affordable accessories meant for stacking. Love you Erin! Take it away! I am so thrilled and honored to be at Sadie and Stella today. I think Lindsay is beyond hysterical and even contemplated asking her to write this post for me because I cant bring the funny like that girl! And although I don't think I'm worthy in my decorating abilities, I'm going to fake til I make it! 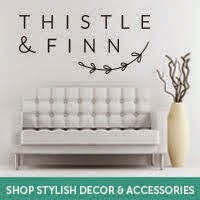 My name is Erin and I write the blog Richmond Thrifter. I live in Richmond and love to thrift. Pretty self exploratory! 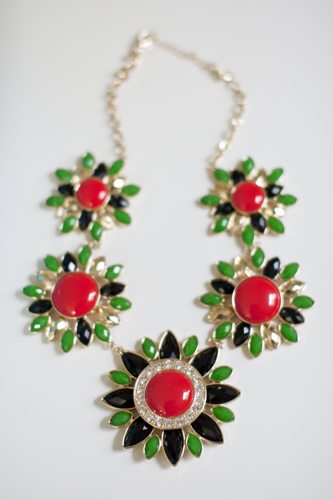 I sell some of my finds and redo's at a local thrift/antique store called Class and Trash and recently added my second love, fun and flashy fashion jewelry, into the mix through my Jewelry Shop. Alright, enough chatter! This my dining room. 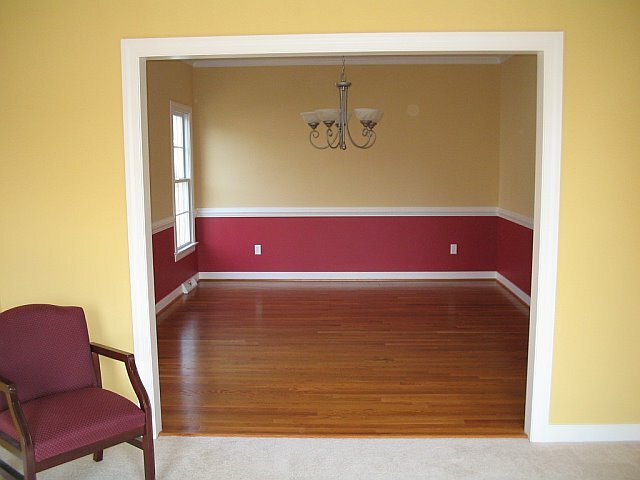 This is what it looked like when we bought the house. YOWSA! I think big bird and Elmo got together to commit a serious decorating crime against humanity...or at least against me! Okay, back to the current state of affairs! These prints are from the Etsy shop Annechovie. I adore her stuff. Super cute! They didn't fit in the matte so I backed them with hounds tooth paper to give them a little more umph! 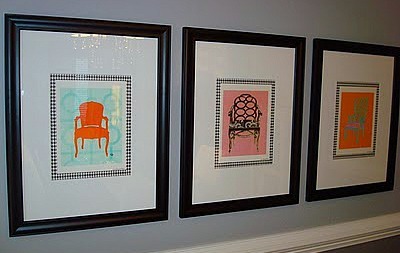 The Chippendale chairs I got off Craigslist. I think I paid around $25 a chair. Not too shabby! Although I liked the natural color, I really wanted them to pop so I gave them a little spray job. 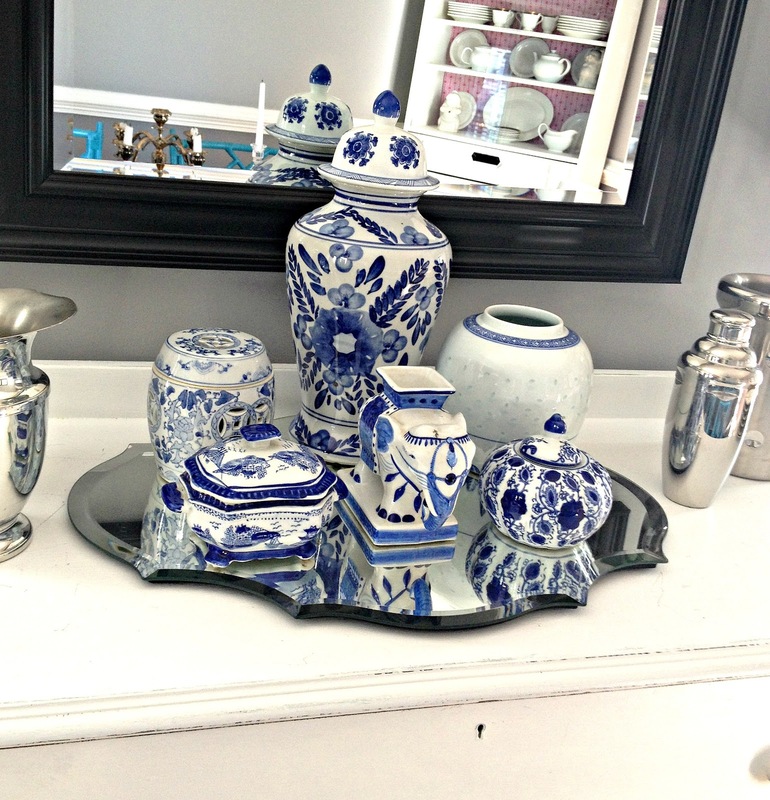 I recently started a little blue and white collection on the buffet. My husband totally doesn't get it. He thinks its clutter. Thinks a buffet should be empty unless there's food up there. 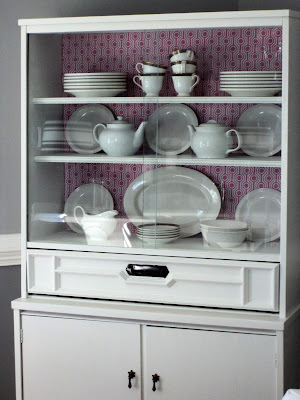 This china cabinet I purchased for $64 from a thrift store. A little paint and some fabric completely changed the look. 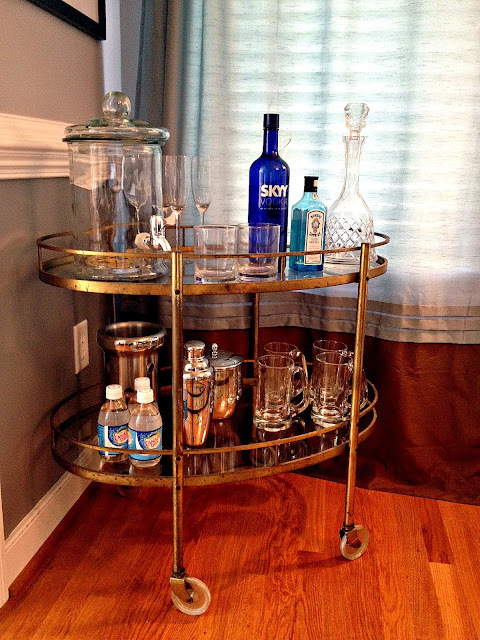 My absolute favorite find in this room has to be the bar cart I scored at a Goodwill for $30. Can you believe someone gave that away. I swear, some people just ain't right. So that's my space. 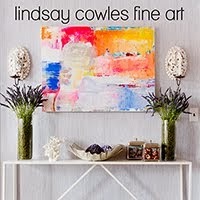 Thanks Miss Lindsay for having me here! See you all soon!!! So I thought today I would share with you all my (far in advance) Christmas list. It is titled "Devon Baer." Pretty sure one of Santa's elves is going to get it if I do not get at least one piece of her Fall/Winter collection. It should come as no surprise to you all that I am in love with every single one of Devon's pieces. Devon loves her some color and she loves herself a tunic. Pretty much illustrates my entire fashion repertoire. I already have the St. Barts Tunic and I plan on making many more mine. All mine. That stylish and fabulously beautiful Devon Baer had to really slay me this season and make her collection all about jewel tones and plaid. Well Devon, my sweets, you have won this girl over for life. Let's check out my Christmas list. Plaid tunics galore. 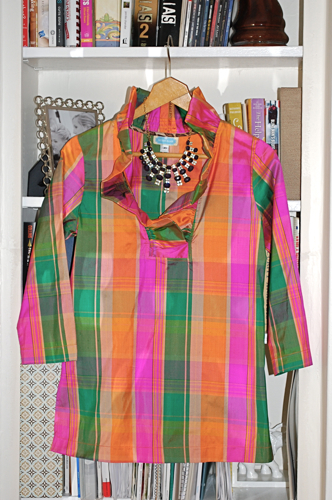 Tartan, jewel tone and buffalo checks oh my. 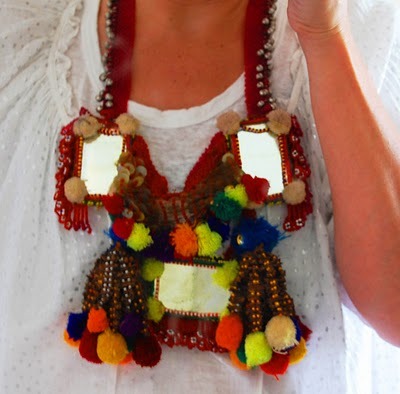 Check the layering of jewelry as well. A buffalo check skirt? Check. Ok, so this Devon is not just a one trick pony, I have to tell you. Another thing on my list? This gorgeous duponi silk dress. She also has all of your jewelry needs covered. I told you, girl doesn't play. A necklace AND a jacket that I will be needing. Girlfriend is not just another pretty face. She is brilliant and stylish as well. Do you see why I am so smitten with this season's collection? Santa, are you listening? I have been very good. And I am being proactive and making my list far in advance so you have time to check it 62 times if need be. Loves!